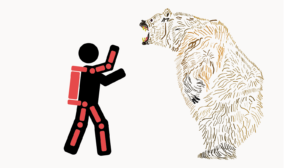 Active Bionics closes shop, Microsoft invests in Sarcos, CYBERDYNE suffers a short attack, a German court ruled exoskeletons should be covered by the insurer, and ReWalk Robotics gets sued. These are only some of the exoskeleton financial and regulation news from August and September 2016. Active Bionics was in operations from 2015 to 2016. 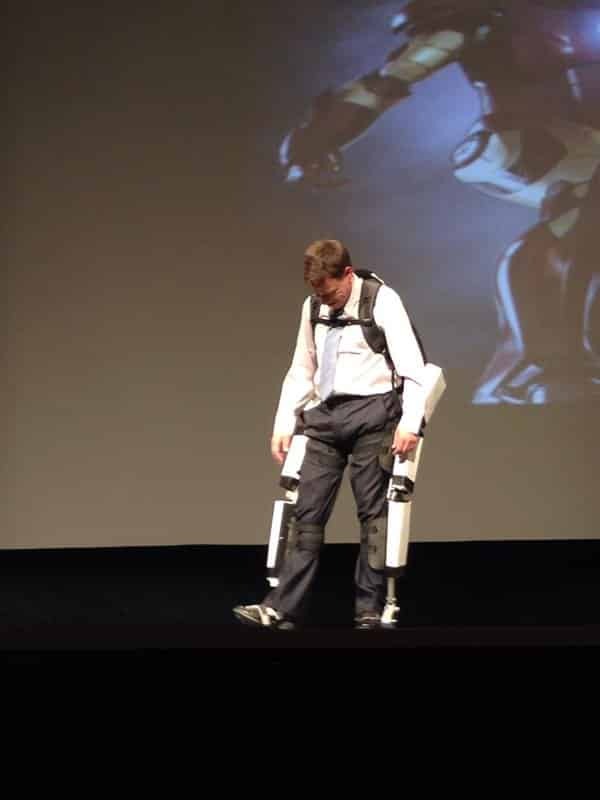 The company attempted to enter the exoskeleton industry via the single most crowded field, gait rehabilitation devices. Even if the Ottawa team had a superior wearable robot that did not infringe on any of the dozen existing patents, the cost of medical trials would have been unbearable without major investments. 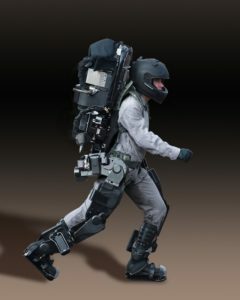 On the subject of investments, MS Power User reported that Microsoft, GE, and Caterpillar have invested in the full body exoskeleton developer Sarcos Robotics. As a reminder, Sarcos Robotics was considered as the brightest star in the exoskeleton industry around 2010 with the release of their second full body exoskeleton, the XOS 2. Initially designed for the military, the XOS 2 provides power augmentation to the user allowing them to lift large loads with minimum strain. Unfortunately, the XOS 2 was a tethered device. Sarcos had bet that battery technology will improve by leaps and bounds in time to power their large wearable robot. 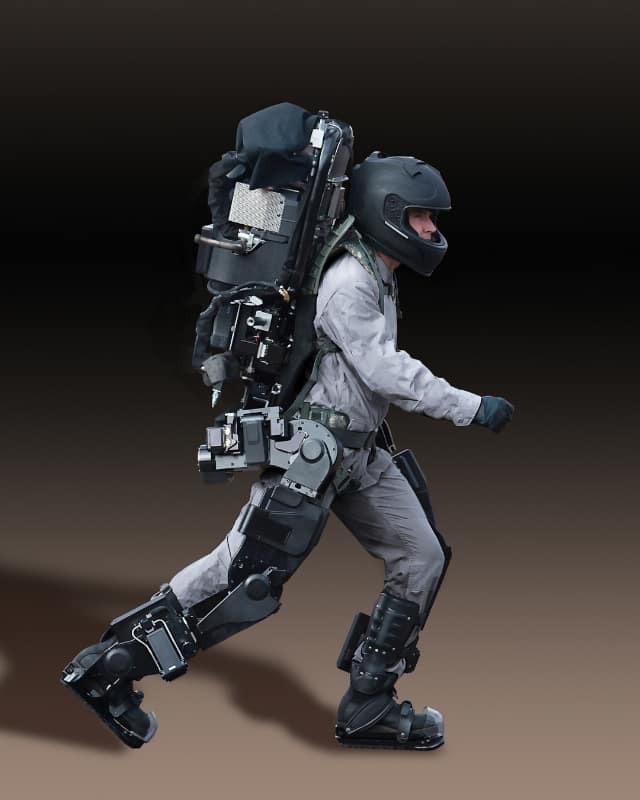 While other exoskeleton developers were investigating how to limit power consumption, Sarcos made a beautiful and powerful device that could not operate remotely, sinking any hopes that the XOS 2 will be deployed by the military. GeekWire reports the total investment to be worth $10.5 million, but it is unclear how they derived that number. One more special note is that the press release of the investment features an image of a new product, the Guardian XO. Visually it looks similar to the previous XOS models, except that the exoskeleton has lost the powered arms and tethering cable. In their place is a large backpack (presumably housing a battery allowing the wearable robot to perform independently). The XOS series of exoskeletons had tethered but also untethered versions made. The picture included in this article and the original press release is not of the upcoming Guardian XO but of an earlier device. The Sarcos team has always been focused on reducing the power consumption of its wearables. For example, the XOS 2 consumes only half of the power that would have been needed to run the XOS. Sarcos remains committed to full-body exoskeletons and practical wearable solutions for the upper body. Reuters reported in August that the Japanese exoskeleton manufacturer (and arguably the largest exoskeleton dedicated company in the world) came under a short attack in August. A short attack is when a person or a company shorts a company stock (bets that the stock will go down in the near future) and then proceeds to publish a large amount of negative information on the company. In this case, CYBERDYNE came under attack by the U.S. based Citron Research. In their attack, Citron Research labeled CYBERDYNE as “the most ridiculously priced stock in the world” which supposedly had purposely misled investors on their technology and capabilities. Analysis on the short attack labeled it as completely bogus and devoid of any factual research. Nevertheless, we have seen the power of a short attack before, even if it is devoid of facts. In 2015 Ekso Bionics was subjected to a short attack, causing a great deal of damage to its stock value: Ekso-Bash: Trashing Ekso Bionics’ Image and Lessons Learned (June 2015). It is worrisome that exoskeleton companies are easy pickings for short attacks, but not surprising. To most investors and the public what a real exoskeleton should and should not be able to do is still shrouded in mystery. Real exoskeleton capabilities are still often mixed up with their science fiction counterparts. On top of this, there still aren’t many educational materials that clearly state not only product capabilities but also limitations. The campaign to convince insurance companies to cover exoskeletons intensifies. In August, the Social Welfare Court of Speyer, Germany, ruled in favor of a claimant who wanted his insurance company to pay for the ownership of a ReWalk exoskeleton for personal use. The court ruled that the exoskeleton was a) not equivalent but superior to a wheelchair and b) the fact that the exoskeleton operator needs assistance and constant supervision was not sufficient grounds for dismissal. But the above ruling is not the story here. After the verdict, ReWalk Robotics hoped that other claimants will be inspired by the German social court ruling and launch their own bids for exoskeleton ownership. This indeed appears to be the case. The South Wales Argus reports on a patient that is using the previous court ruling in Germany for his own lawsuit which argues that exoskeletons for personal use are essential and the wheelchair can no longer be considered sufficient. Regardless of how the case in Whales is ruled, its very existence suggests the possibility of a domino effect. At the moment, insurance companies do not cover personal use exoskeletons for people suffering from mobility disorders. But in time, with more successful cases the tide could suddenly turn. 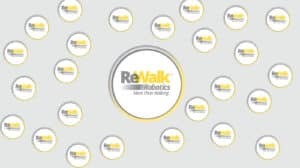 In what is most likely an exoskeleton industry first, GlobalNewswire reports that the Shareholders Foundation has decided to sue ReWalk Robotics. The San Diego based foundation has filed a lawsuit over the ReWalk IPO (initial public offering) from September 2014. 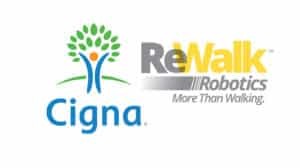 The lawsuit claims that ReWalk Robotics failed to disclose vital information regarding additional requests by the FDA. One of our contributors has posted the full FDA request letter in the context of various approaches to Exoskeleton Safety (September 2016). This is a shocking development and we will follow this story closely. It should be emphasized that the ReWalk exoskeleton has not lost its FDA approval. You can read the full press release at GlobalNewswire (link).